1Department of Microbiology, Birendra Multiple Campus, Tribhuvan University, Bharatpur, Chitwan, Nepal. 2Department of Biochemistry and Molecular Biology, School of Life Sciences, Central China Normal University, Wuhan, Hubei, P.R. China. *To whom correspondence should be addressed. E-mail: sukha11@yahoo.com. Received 23 May, 2018; Received in revised form 18 June, 2018; Accepted 25 June, 2018. Masala, MDR, Pani, Puri, Street-vended foods. This study was designed to investigate the bacterial contamination of street-vended Panipuri and their possible risk factors. In a cross-sectional study, 300 samples (100 each of Pani, Puri and Masala) were aseptically collected from various locations of Bharatpur and processed at Microbiology Laboratory of Birendra Multiple Campus using standard microbiological techniques. Microbial analyses revealed that 164(54.6%) samples were contaminated with 13 different species of bacterial pathogens of which Staphylococcus aureus 50(16.6%) followed by Escherichia coli 30(10.0%) and Citrobacter spp. 28(9.3%) were the most prevalent ones. The highest proportion of both Pani (12.0%) and Puri (20.0%) were contaminated by S. aureus whereas the highest incidence of E. coli (22.0%) was seen in Masala. On antibiotic susceptibility testing, of the 212 isolates, 11(36.7%) E. coli, 8(50.0%) Pseudomonas spp., 6(33.3%) Salmonella Typhi and 4(14.8%) S. aureus were found to be multi-drug resistant (MDR). 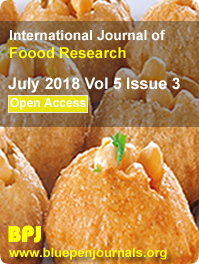 Significant association was noted between the rate of contamination of Panipuri with various factors pertaining to the vendors such as gender, literacy level and personal hygiene as well as with the location of sampling (p<0.01). Vendors’ awareness to improve their hygienic behavior during preparation, handling, serving and storing of street-foods is recommended.